But, the Onin War (1467-1477) brought about the ruin of the Kobayakawa family and the sect fell from favor. The Meiji government's policies helped restore part of its former glory and today its head temple has attained the status of the largest Zen Buddhist training hall in western Japan. 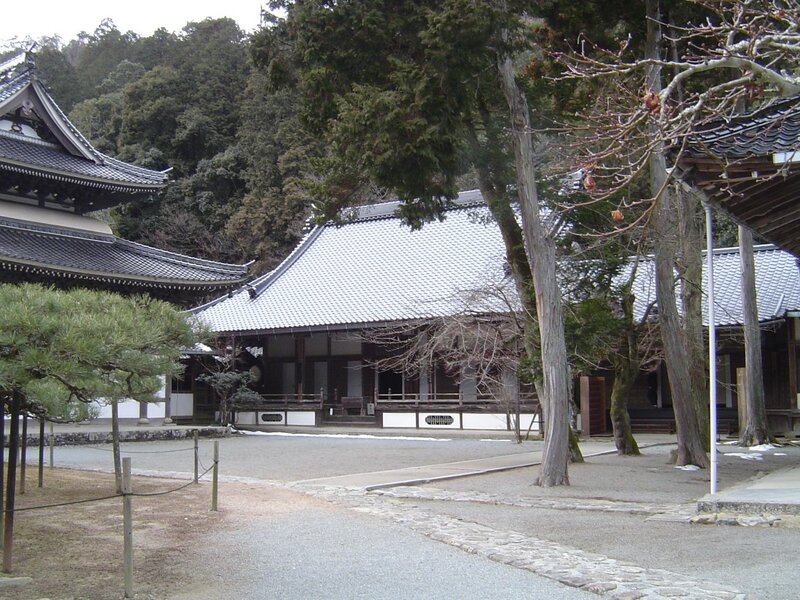 The Buttsuji Temple complex covers a wide area which is matched by the wide variety of specialized buildings used in the training of Zen Buddhism. In total, there are 20 large structures built on the temple grounds. The main temple building in its center is used for Buddhist sermons and houses 11 images of Buddha. 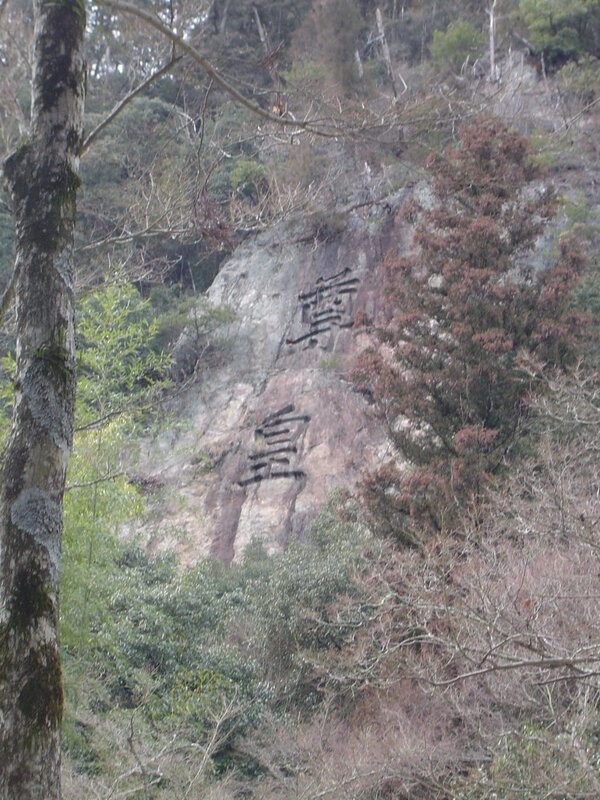 Two large characters carved into the wall of the cliff about a 100 meters up on the opposite side of the river from the road approaching the temple. The carved characters are pronounced "sonnou." The first character means respect and the second character means emperor. Together, they mean reverence for the emperor. The exact reason why it was carved and who did it is a bit of a mystery. Unquestioning loyalty for the emperor (and by extension those ruling for him) was espoused by Japan's wartime government as part of its propaganda. 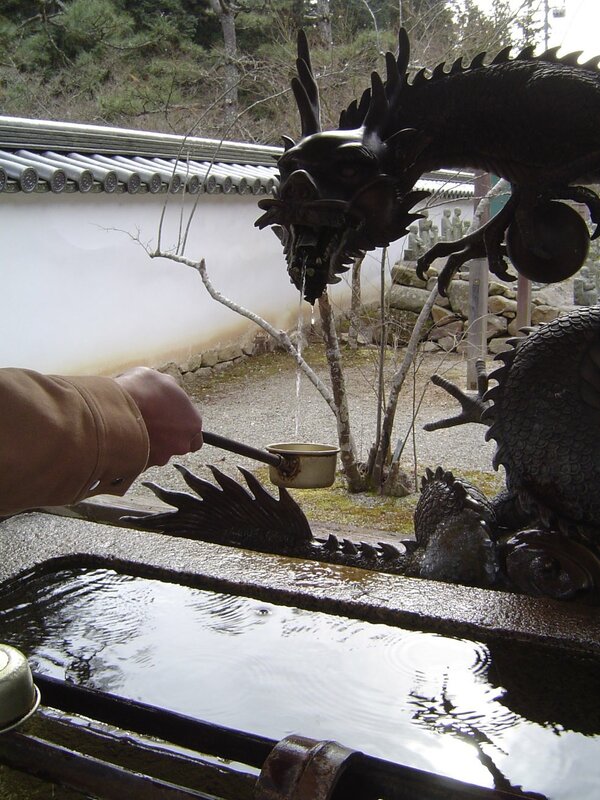 Thus, it was most likely carved during the Meiji period. Since many Japanese people feel uncomfortable things shouldn't be openly discussed this large "feature" of the temple is the least talked about and most ignored part of it. 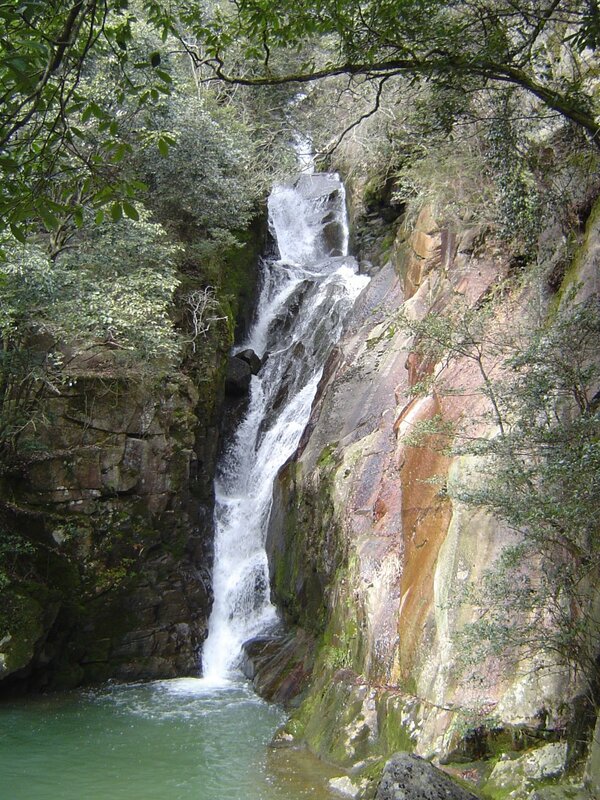 This waterfall is renowned for its beauty and the interesting geology and fauna located around it. The trail head to the waterfall is located about 2 kilometers past the temple's 3rd parking lot. From there it is a 15 minute walk through the forest by the Buttsuji River to the actual waterfall. 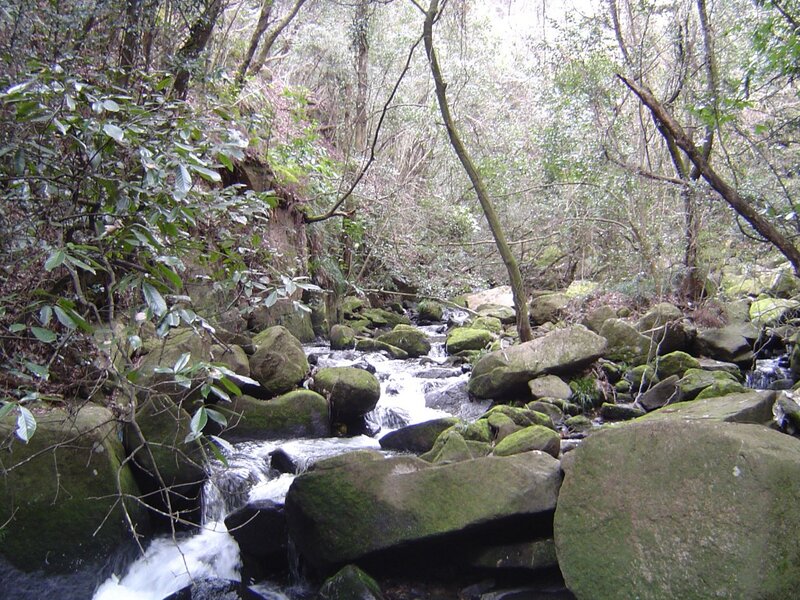 The trail passes through an impressive jungle as it bobs and weaves along the river side. Steep cliffs made of brick like boulders constrain the river in parts. The sum effect provides a very weighty backdrop of nature for the waterfall and makes hiking out to it all that more enjoyable. 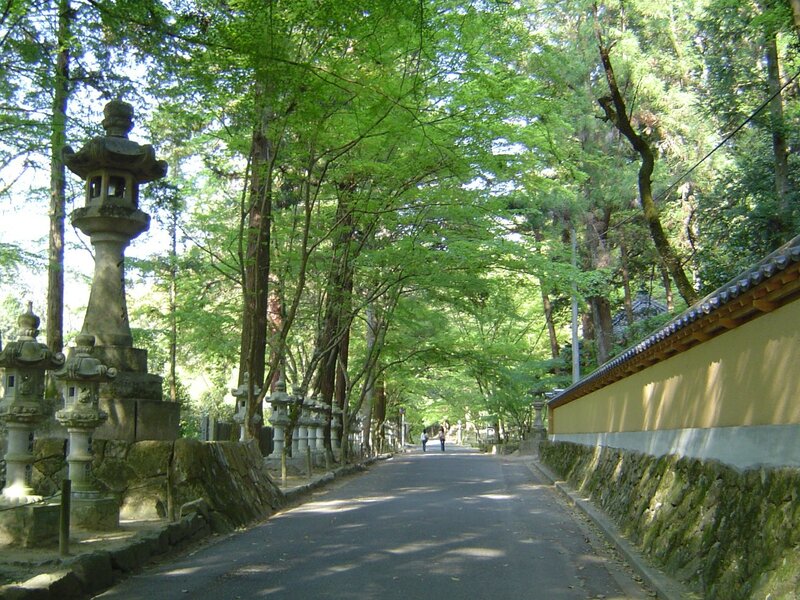 The shrine grounds are best viewed from late spring to fall. 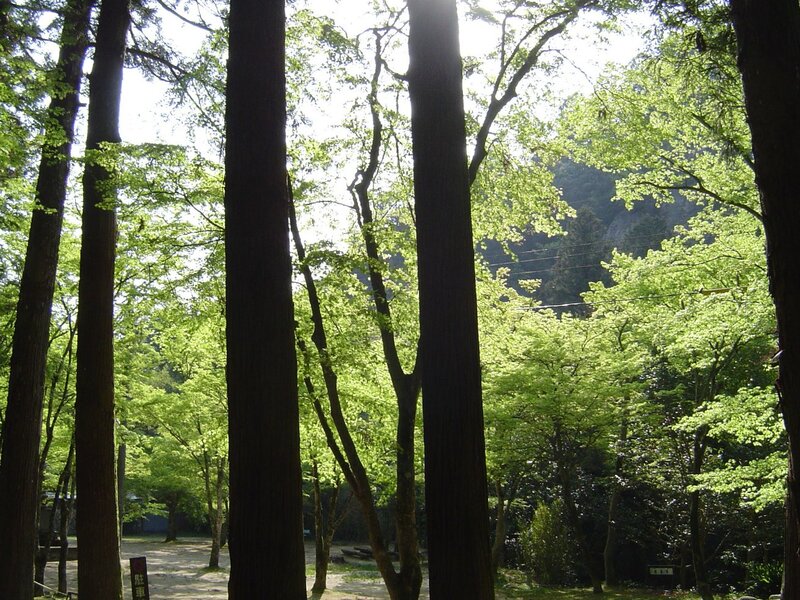 The temple grounds are surrounded by large deciduous maple trees which are a lush green during the summer and the grounds are especially considered beauty during the fall season when the leaves turn a golden red. Buttsuji Temple is quite out of the way. 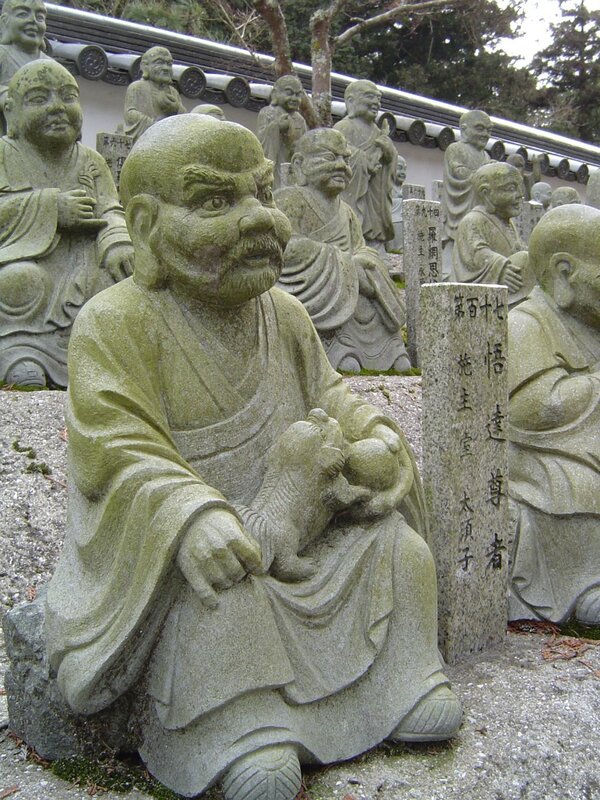 The closest town to the temple is Hongo which is on the Sanyou-honsen train line. 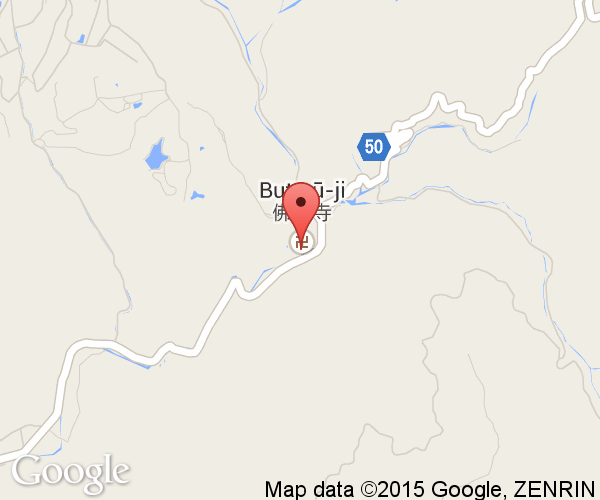 By taxi, it takes 25 minutes from JR Mihara Station and 15 minutes from JR Hongo Station. Unless you share the cab, it will be an expensive ride. There is the occasional bus from Mihara City (40 minutes) and Hongo (30 minutes) which runs out to the temple.